Sussex Wildlife Trust has been working in partnership with Wakehurst Place (Kew) and the Sussex Black Poplar Working Group for over twenty years to conserve the native black poplar tree (ssp betulifolia) and to help to prevent it from becoming extinct. The partnership has gathered cuttings from the 38 remaining mature black poplar trees in Sussex. 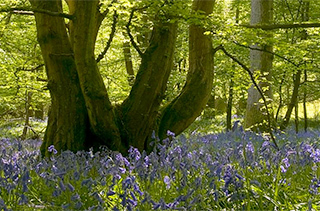 Each year Wakehurst place tends a nursery of young trees, which they grow to distribute amongst landowners who are creating and restoring wet woodland, the natural habitat of the black poplar. Over 6,000 young poplar trees have now been planted across catchments in Sussex. We now know that our 38 Sussex trees, only have five genetic clones (three males, two females), and we are working closely with Forest Research and the Millennium Seedbank to see if it is possible to assist the black poplar tree to reproduce naturally from seed, rather than through the propagation of clones taken as cuttings from parent trees. You can download our free Sussex Black Poplar leaflet here, or please contact Fran Southgate to find out more.